I can't remember when it was that I last treated myself to a new computer. I was running on the Vista operating system if that dates it at all. I heard so many jokes about Vista throughout the years but I have to say that I never had any issues with it. I have more photos loaded on that hard drive than I will ever view in a lifetime. And lots of hours blogging, and updating my website. And lots more hours spent on Facebook - the ultimate time killer! It's been awhile since I have posted here. Once again, I find Facebook takes precedence over blogging. Not because I like it more but it is quick and easy. 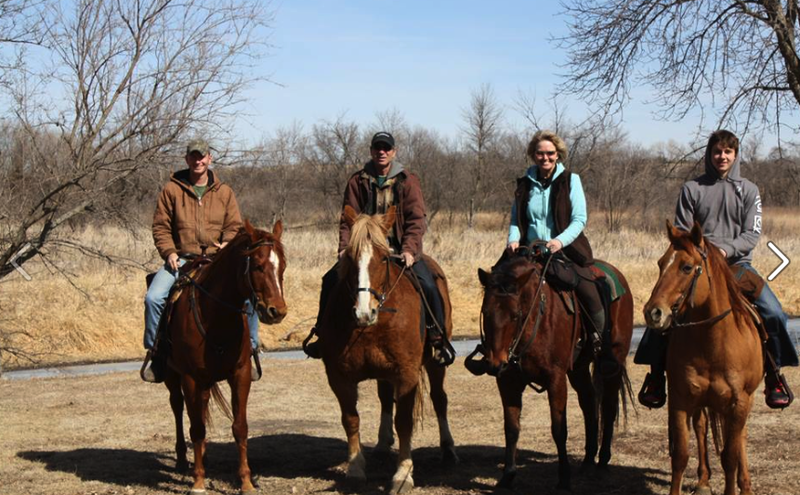 I was able to quickly post the results of our trail clearing at Two Rivers on April 5 (thank you all very much who came and helped) and we had a great Platte River Riders season opener at that same trail this past Wednesday. There were 43 riders! We did get out a few times last month. Having a March birthday, the weather is not always conducive to a birthday ride, but I did get lucky this year. Not only did we have fairly decent weather, but McCain was home for a few weeks and both boys agreed to ride with me that day. It was my plan to recreate the above picture taken in 2008 with an updated version. And we came close! Case brought along a friend who was riding Blue so he didn't make the picture. And of course we have since lost Ginger. I forgot how we were all lined up for the previous picture but what the heck? It turned out just fine. I hope its not another six years before the boys ride with me again, but it was good to see them in the saddle on this day. 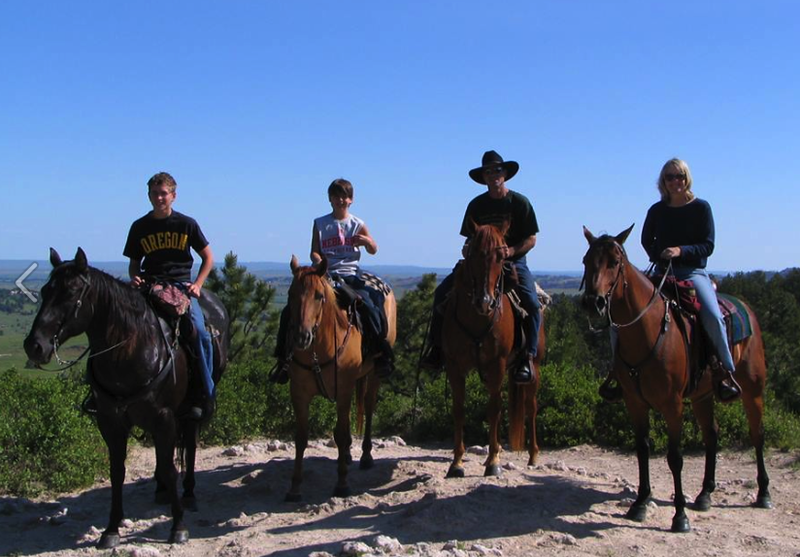 Our first Competitive Trail Ride is May 3. While it has always been our plan that I would ride Fancy this year, I have since reconsidered. Having a good ride and good scores is a challenge but Fancy makes it easier on me than Windy. But isn't the goal to have a good score riding the horse you normally ride? 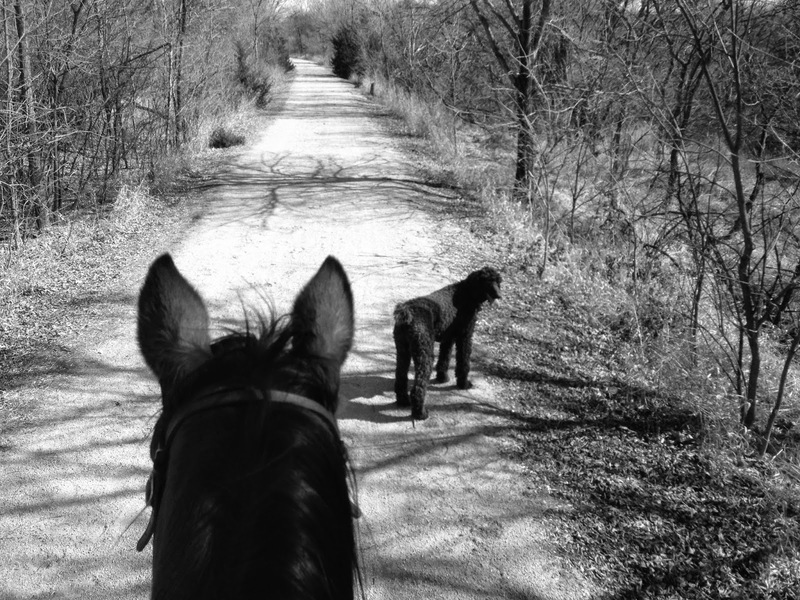 I've decided it is more important for me to compete between the ears of my own horse than on a ringer. So it may not be pretty but I hope that Turkey Creek ride last fall set the baseline for us and it is only better from hear on out. Yesterday was 80 degrees in Nebraska. Today it is 38 degrees and raining pretty good right now. Some areas of the state has snow. I am not complaining. We need the moisture terribly bad. There will be other days to ride. Aren't those displays GORGEOUS? I've got a Retina Macbook Pro and it's my second most cherished possession (right behind the horse trailer, lol).